Mac Callahan, a seasoned FBI agent in Washington, D.C., has given up the fast lane to live a life of sweet tea and sunshine in Alabama with the girl of his dreams, Samantha Peterson. But Mac’s years of bringing down drug lords and psychotic criminals is about to catch up with him just as he’s resigned himself to leave it all behind. 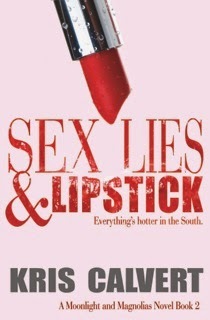 Finally getting the husband and family she’s longed for, Sam finds that life at Mac’s plantation, Lone Oak, is a Southern girl’s dream full of romance, love, lipstick and pearls. It’s all Southern charm and Champagne between the sheets until a psychotic stalker sets his sights on completing an unfinished grudge. Carefully planning, Hector Quintes has patiently waited to crash Mac and Samantha’s happily ever after. No one Mac Callahan loves is safe – least of all Samantha. When they said, “until death do us part,” neither knew how soon that could be and as Hector becomes intimately close to their family, the line between friend and foe grows strangely blurred. It’s a deadly game of cat and mouse, but who is chasing whom? A deeply captivating read. Be prepared to get lost in this book for hours. It's an amazing love story and so well written that you won't want to put it down.